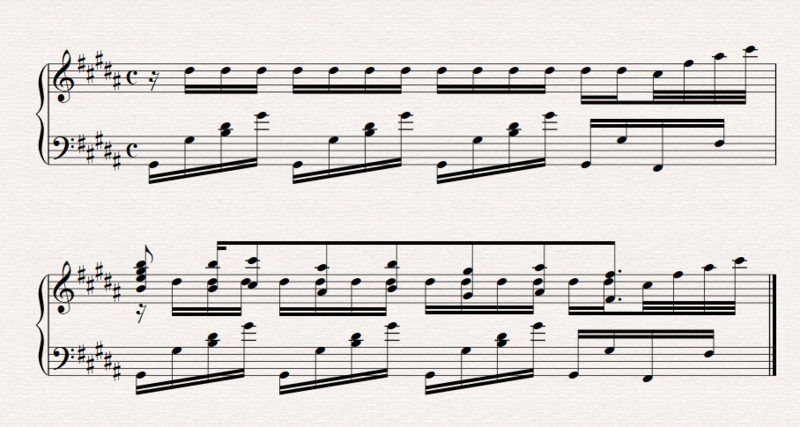 This is a part of the song that I want to play, but I'm not sure how I should play the rhythm in the 19th and 20th segments. 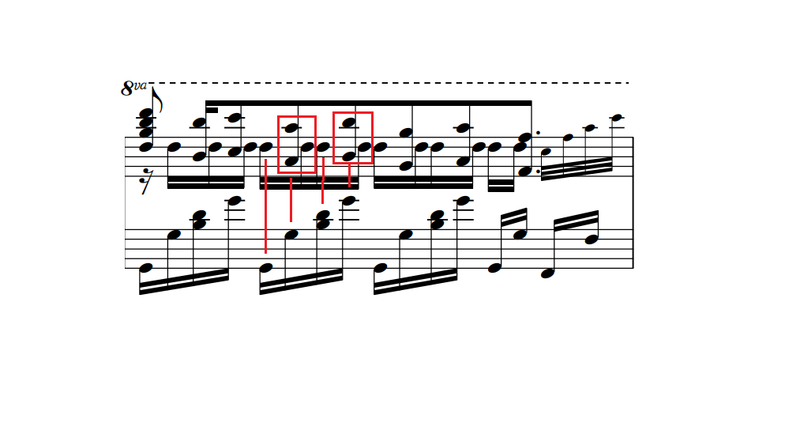 I'm a bit confused over the sixteenth notes, at first I thought the quarter note form the right hand and the sixteenth note from the left is played together. But now that I'm seeing that both hands have 4 sixteenth notes in the same segment I'm thinking that maybe it should be played as an accord together with the left hand (shown in the second picture)? I hope this was not too confusing. Yes, your markings are correct. Remove the stems-up voice from the RH and all will become clear. A little more horizontal space would have allowed the engraver to make it rather more clear. But once you see the pattern of repeated D# 16ths, it's not too bad. Not the answer you're looking for? Browse other questions tagged piano learning rhythm or ask your own question.